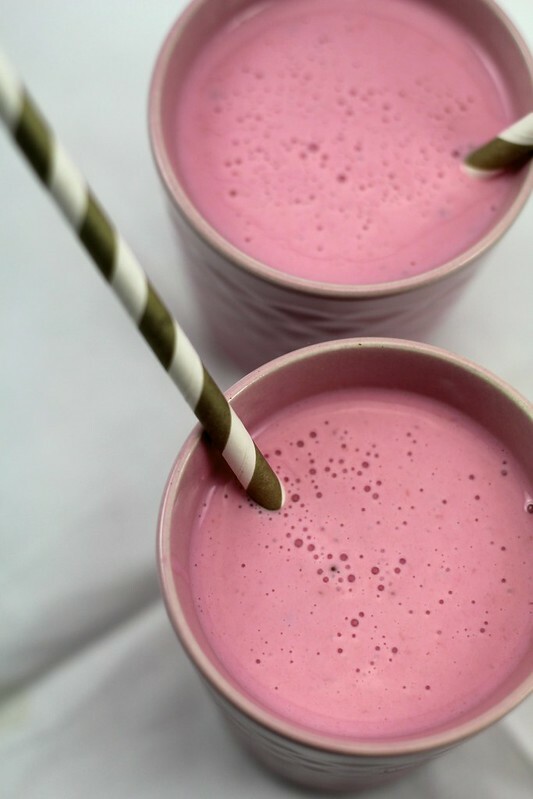 Berry Banana Froyo & Strawberry Lassi plus a giveaway! It’s been a while between recipe posts! So what better reason to kick back in the kitchen and start creating some cooling down treats other than this intense heat Sydney has been having lately. 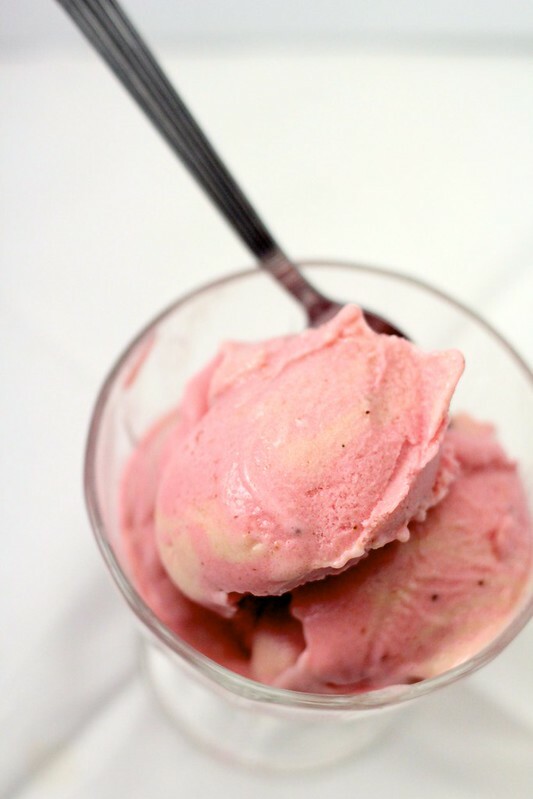 And what better time to make a bunch of pink recipes other in October for Breast Cancer Awareness? Did you know that breast cancer is the most common cancer in women in Australia? It is also the second most common cancer to cause death in women after lung cancer (source: Cancer Council Australia). Breast cancer is so common in Australia it is difficult to escape having a close relative or knowing of a friend who has a close relative who has suffered from this awful disease. As ladies it’s definitely something we all need to watch out for ourselves by doing regular checks at home as well as regular check-ups at the doctor’s. For info about checking yourself out at home, visit this link here. You know me and I love simple, so what’s more simple than recipes with only two ingredients that’s easy to put together? 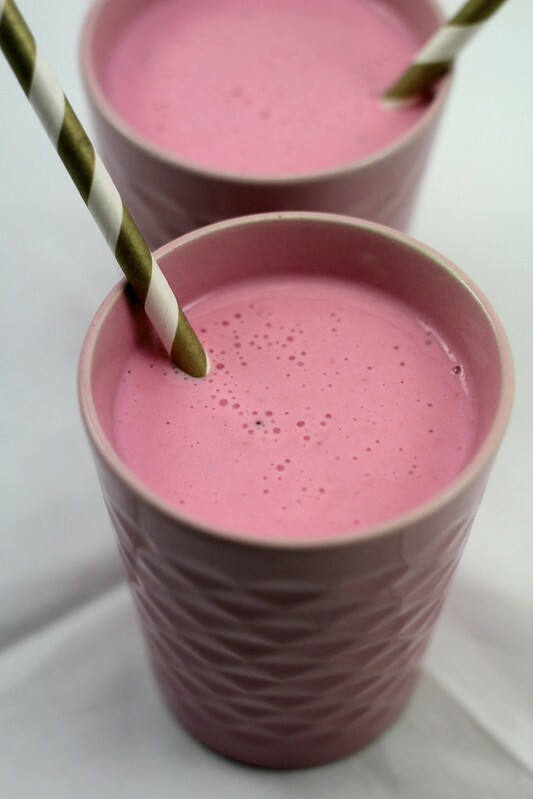 All you need is a blender/food processor, some yoghurt, bananas, milk and you’re set to make both of these cool-down treats. 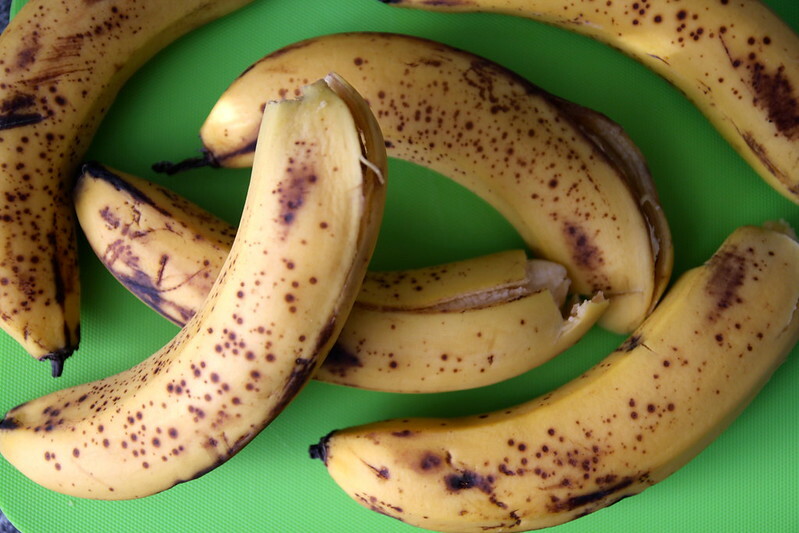 Start out with some ripe, spotty bananas. Pop into ziplock bags and seal. Freeze overnight. 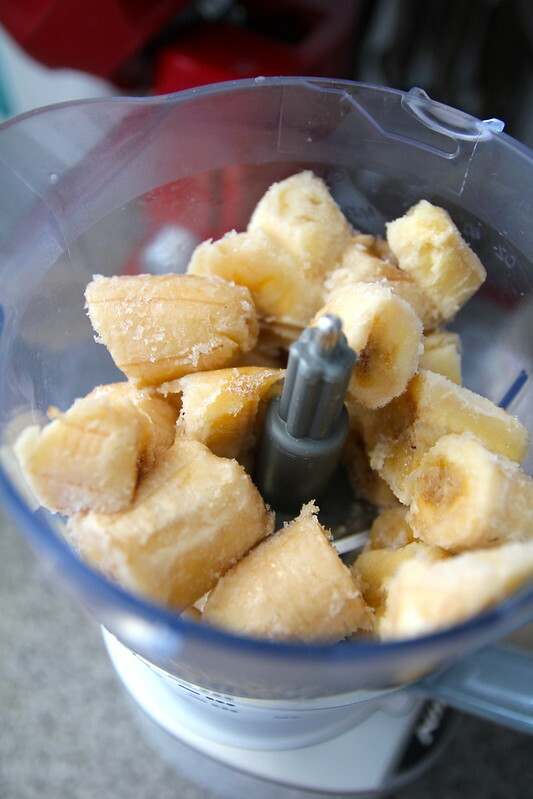 Place bananas (about two cups frozen banana chunks) into food processor. 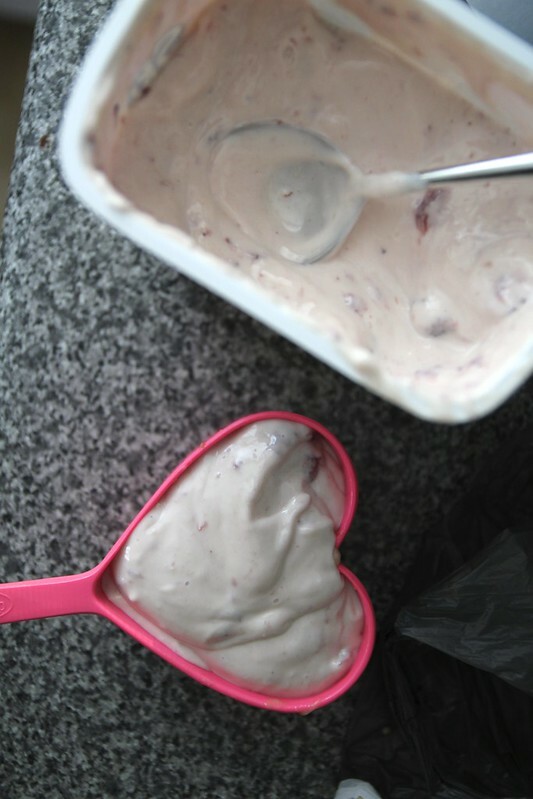 Measure out one cup of strawberry yoghurt and spoon into the food processor. Whizz for another 20 seconds or until fully combined. And here you go, post freezer! 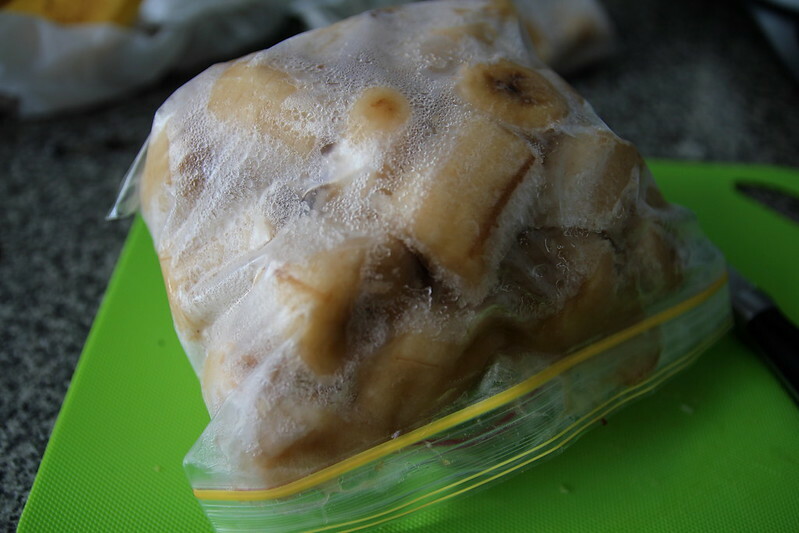 Time to prepare: Bananas need to be frozen overnight, but this takes about 10 minutes to put together. Easy! 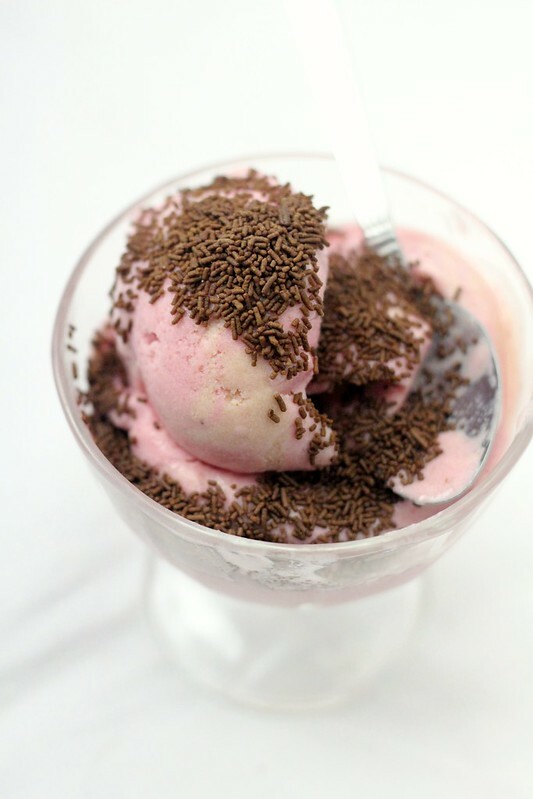 optional: a few drops of rose pink food colouring to make it extra pink! or three hulled strawberries if you have them would work well too! 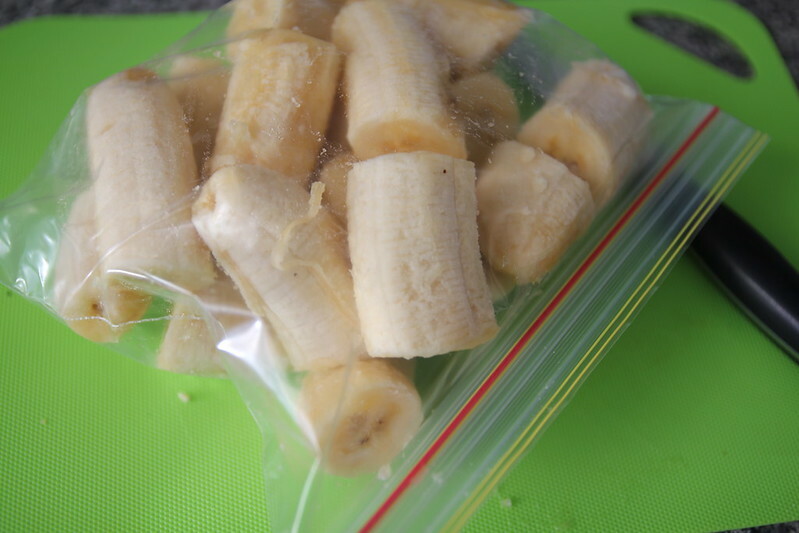 Peel, chop and freeze bananas in ziplock bags overnight. 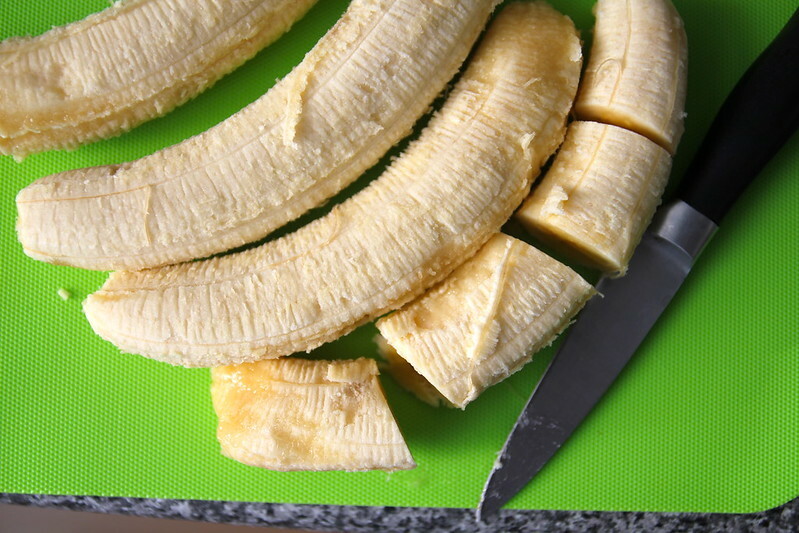 Remove bananas from the freezer and place in processor bowl. Process until creamy. 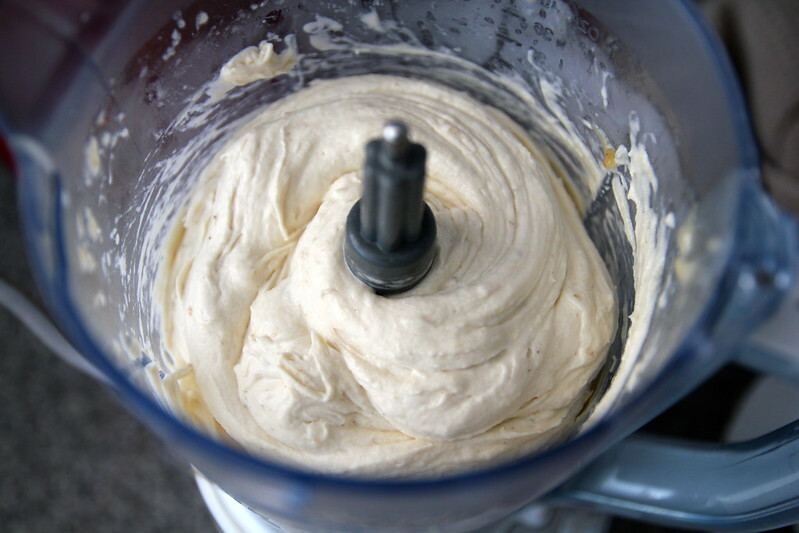 Pour yoghurt and milk into blender and pulse for about 1 minute or until smooth and creamy. Pour into a glass and serve. Enjoy these summery treats and I hope you have a fabulous week! A great sounding treat. And I love how much your whizzed up frozen banana looks like ice cream! A simple dollop in place of cream on a warm carrot cake. A big dollop of vanilla yoghurt on a steamy bowl of porridge is my DOUBLY favourite way to enjoy two healthy treats together! Banana Yoghurt smoothies are my choice! Great summer recipes, created for a great cause. I love frozen apricot yoghurt but I am a huge fan of plain yoghurt with oatmeal mixed through it. Everyone I know thinks it sounds disgusting or that it looks like wallpaper paste but it is DELICIOUS! Love that shade of pink! Great recipe, and super cause. Thanks so much. My 8 year old brother will love this! He eats yoghurt with practically everything- and his favourite addition to yoghurt is mashed banana! Thanks for the recipe! Yum! I could definitely go either one of these right about now! I’m a massive froyo fan – so much so that the owner of the froyo place near work knows me by name! once the kids go to bed I love mixing some fruit in it and a sprinkle of chia seeds and im set for the night ! After dinner, with added berries or fresh strawberries. 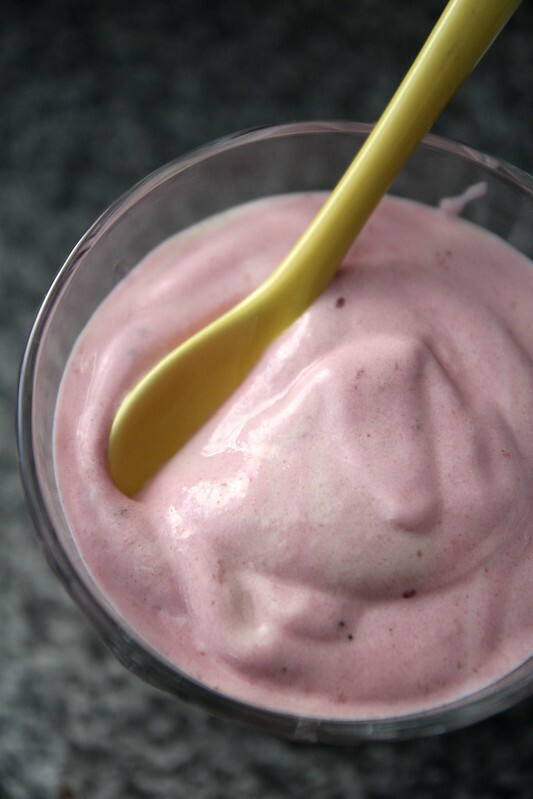 I love to freeze my yogurt into a Popsicle mould and enjoy it frozen in summer time. And I completely forgot to mention, I am fro-yo crazy with my favourite flavour being pomegranate and pineapple – mm yum! Lovely photos of a great recipe! Love how you turned bananas to look like a soft serve – so creamy indeed! A breakfast or dessert!